Looking in fine external condition, BR Britannia Class 4‑6‑2 No. 70017 Arrow, from 21D Aston, overlooked by soot‑stained buildings, awaits departure from Birmingham (New Street) with an excursion on 7th July 1962. 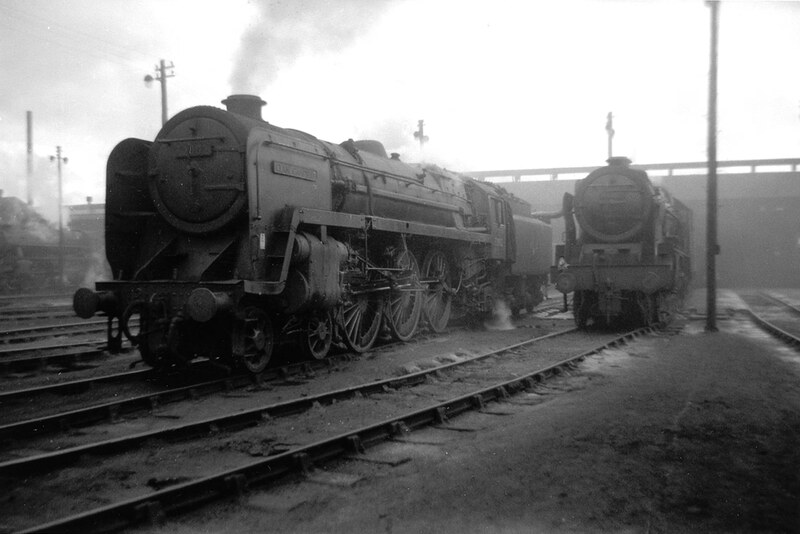 The preserved BR Duke Class 4‑6‑2 No. 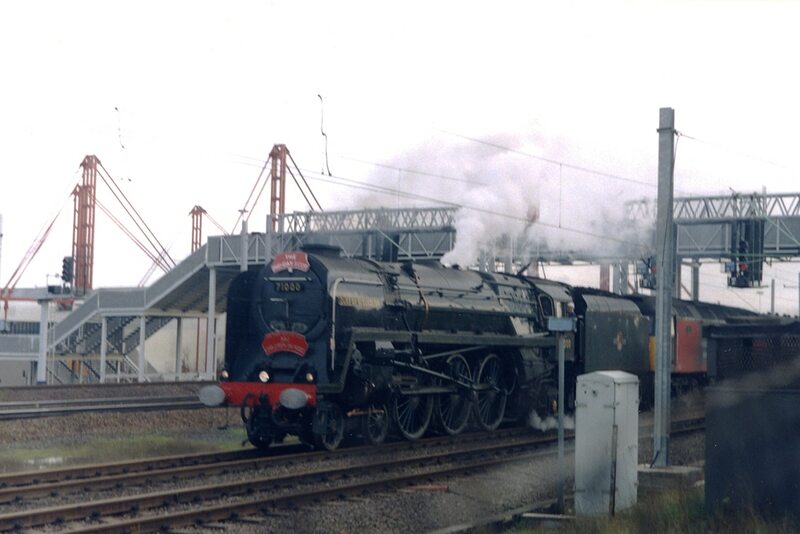 71000 Duke of Gloucester, in immaculate external condition, has steam to spare as it drifts into Birmingham International station in the company of a Class 47 diesel with a special in December 1995. 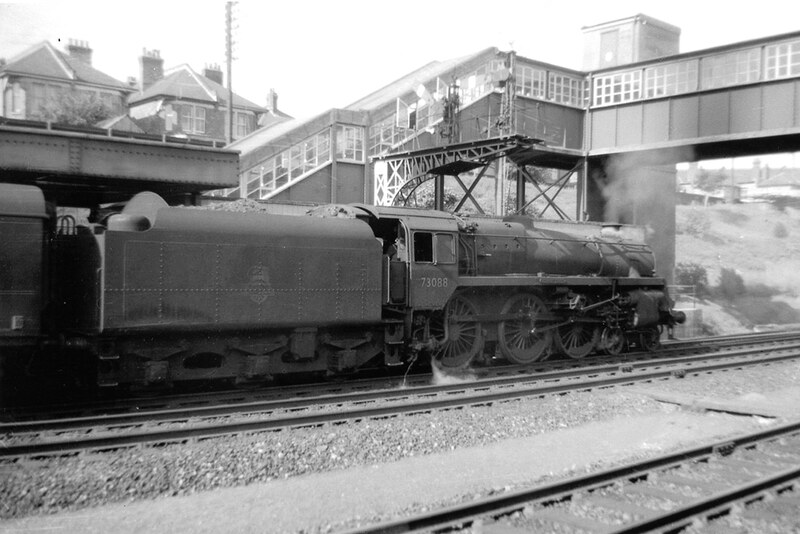 Locally based BR Clan Class 4‑6‑2 No. 72002 Clan Campbell is readied for its next turn of duty in a section of the vast yard at 66A Polmadie (Glasgow) on 21st August 1962. 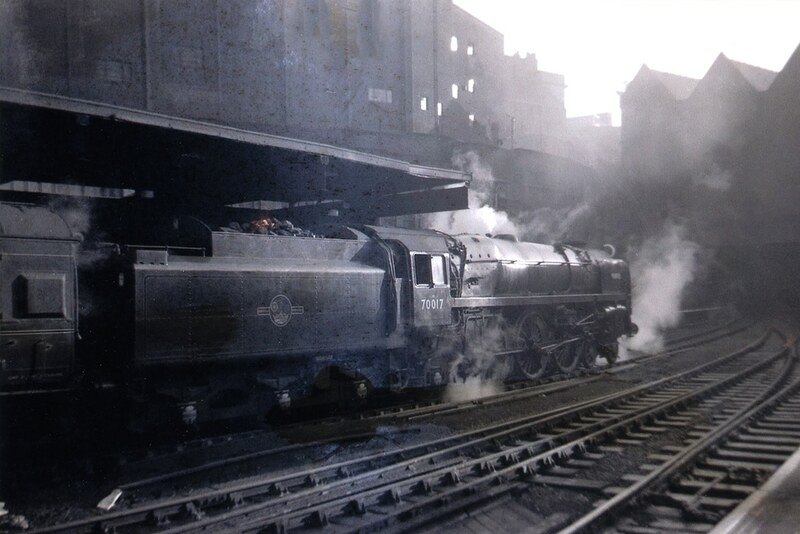 Accompanying 72002 is LMS Royal Scot Class 4‑6‑0 No. 46107 Argyll and Sutherland Highlander, also of 66A. BR Class 5 4‑6‑0 No. 73088 Joyous Gard, of 70A Nine Elms, standing beneath a signal gantry, patiently awaits departure from Pokesdown station with a semi‑fast passenger from Bournemouth (Central) to Waterloo on an extremely hot 22nd June 1963. There are no known additional amendments or queries with regards to the disposals of the BR locomotives classes listed in WHTS Volume Nine, but any information to the contrary will be welcomed as would any confirmations or otherwise of the verifications required. Note: Thanks to the unearthing of a plethora of fresh information contained within the pages of railway publications and sightings from correspondents since my WHTS website came on stream a few years ago, the knowledge gleaned from both sources has placed me in a situation whereby I can provide the reader with much improved data with reference to storage locations/dates than I was initially able to provide in my 1980’s series of WHTS booklets. The author hopes that this streamlining will add to the enjoyment of the existing chronological sequence of events appertaining to WHAT HAPPENED TO STEAM – Volume Nine.